The new dream destination in Europe awaits you! 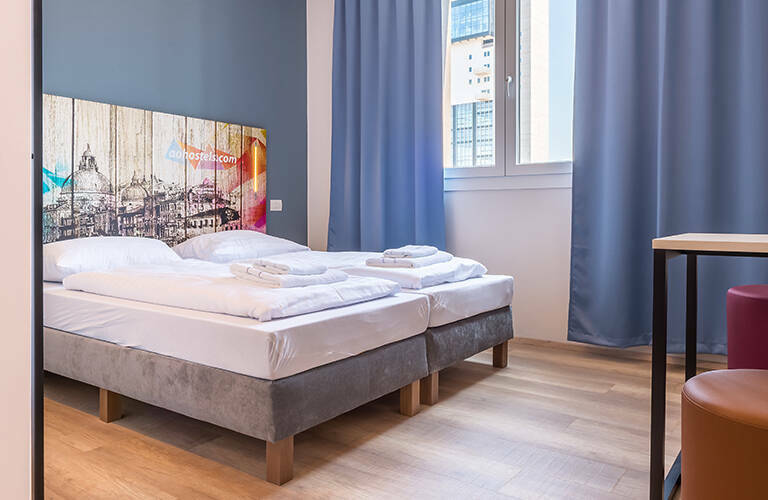 Book your affordable bed or room now! 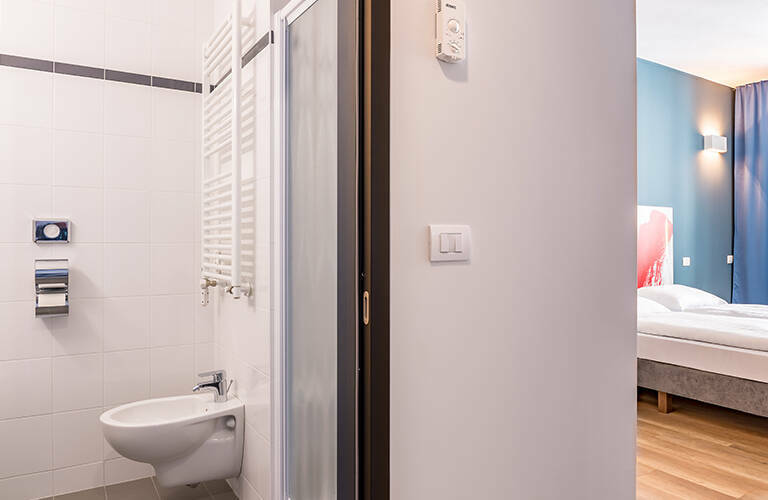 As always, a&o offers accommodation in every room category, from a budget hostel room with shower/WC and lockers, to a modern and private hotel room including bed linen and towels. 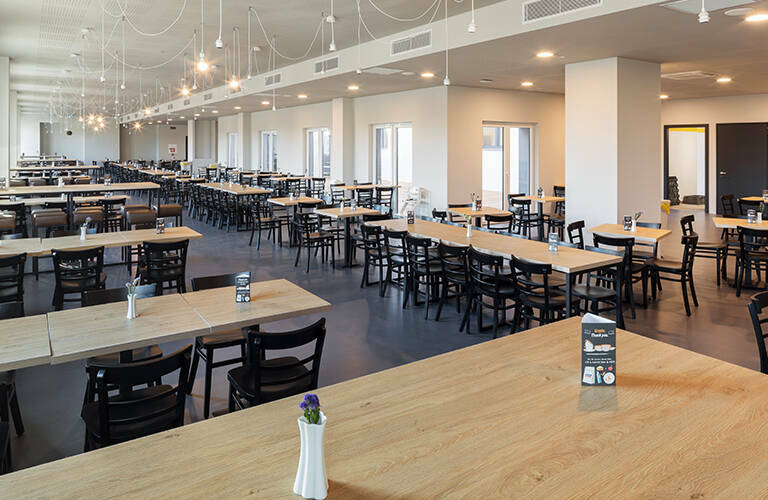 Of course, there is free high-speed Wi-Fi throughout the building, as well as additional services such as breakfast, late check-out and packed lunches. 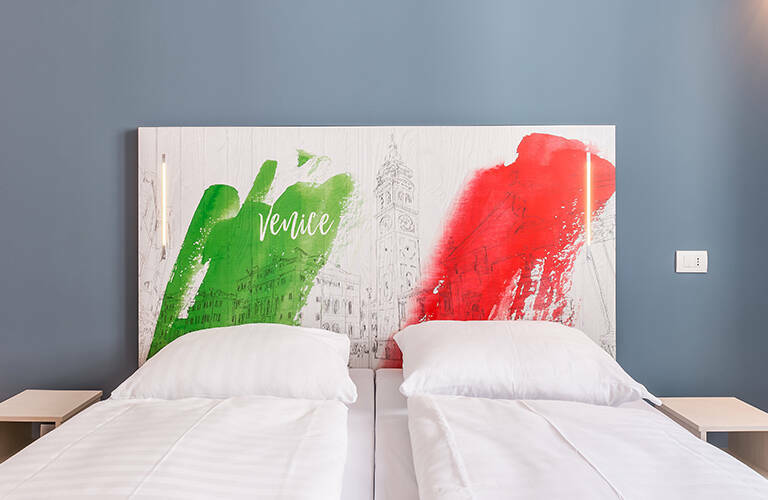 Guests in Venice pay the residence tax "tassa soggiorno". Get more information here. 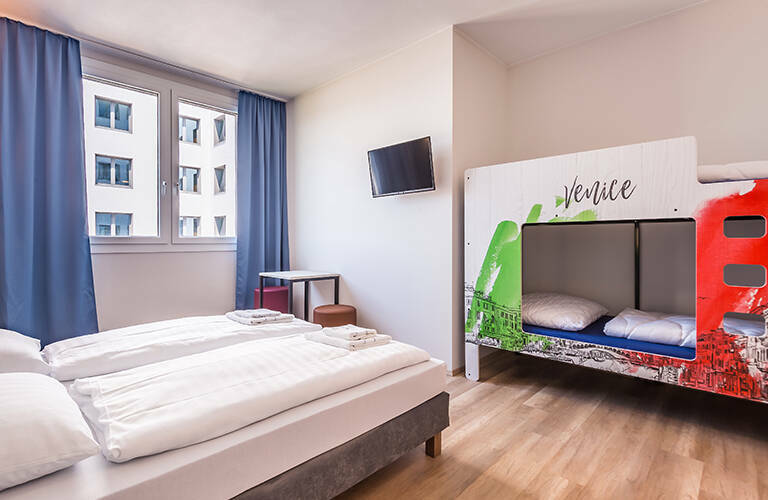 The a&o Venice Mestre is just a few minutes north of the main train station Venezia-Mestre with excellent connections to the main island of Venice and the old town. For detailed tips on how to get to the heart of Venice quickly and inexpensively, click on "Map". 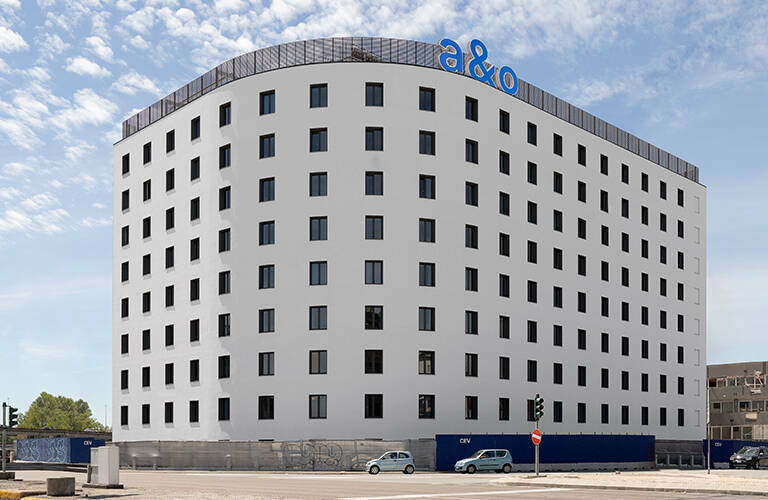 The a&o is modern and equipped with a completely new design concept. 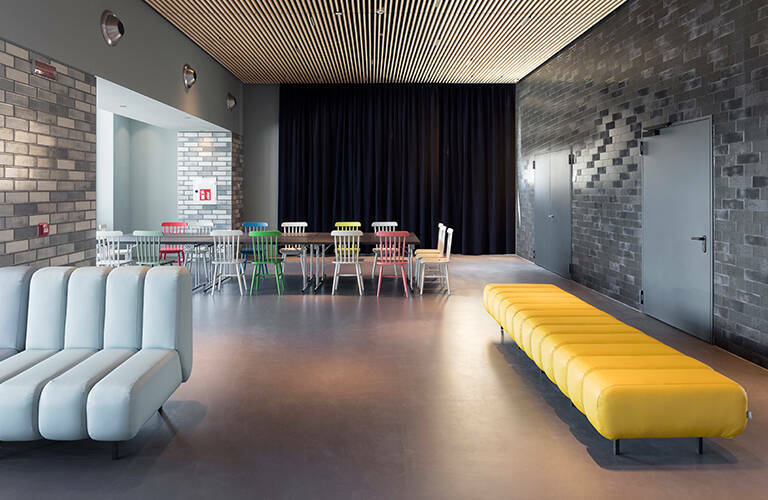 With its XXL lobby and 24hours bar, you are invited not only to sleep well, but also to relax in our common spaces! Good weather and la dolce Vita can be enjoyed with a delicious coffee. Kids can play in the dedicated playing area. An absolute highlight is the bright breakfast atrium. 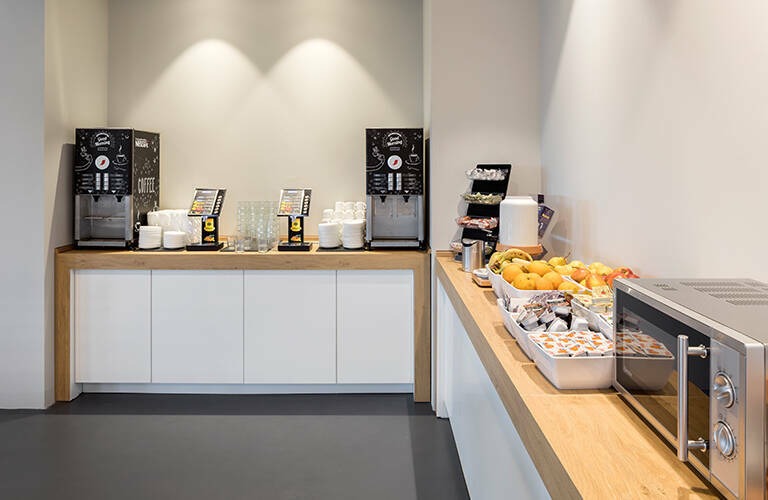 Help yourself to healthy and nourishing food at the all-you-can-eat breakfast buffet - just what you need for a long sightseeing trip through Venice! Our parking spaces are very popular; especially those bookable online. 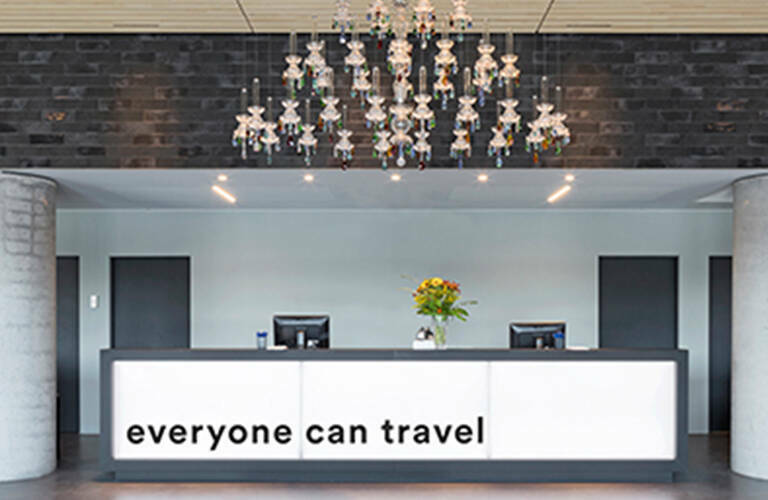 In case you don't get the chance to use our hotel parking, our receptionists are happy to assist you with great tips for inexpensive and safe car parking options. Turn right onto Viale Stazione and follow the road that makes a slight left-turn. Turn right onto Via Cà Marcello and follow the road until you see the a&o on your left. Line 10a towards Venezia Piazzale Roma starts at Tessera (400m walk from the airport). Get off in Mestre Rampa Vempa 19 minutes later and walk 280 meters to the hotel. Line 25a towards Venezia P. Roma starts also from Tessera and goes to Stazione FS (train station Mestre). From there you can walk 5 minutes to the hotel (see on foot). A trip costs 8 EUR. You can also take the ATVO shuttle bus (costs 8 EUR as well) that can even be booked in advance here. Walk 50m to Treviso Canova Aeroporto stop and take the bus 351 direction Venezia Piazzale Roma. It takes you to the Stazione FS (only 2 stops - exactly at Mestre station), depending on traffic. From there, walk 550 meters to the hotel (see - on foot). Click on this link and enter your starting address. Google Maps' route planner navigates you conveniently to our a&o. 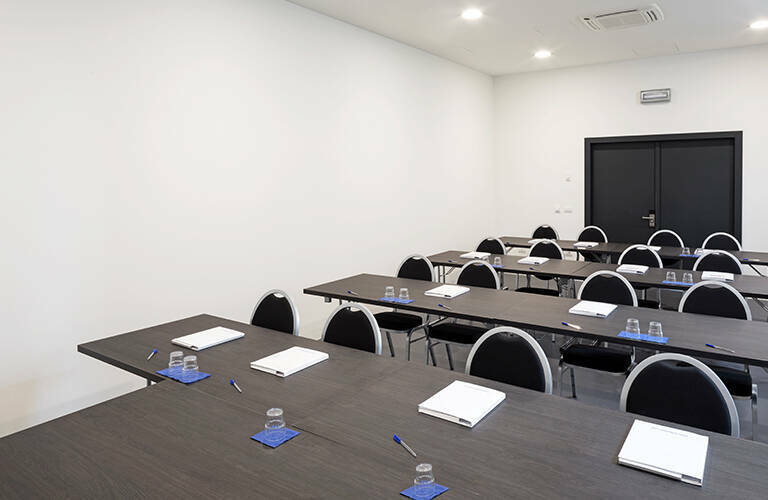 a&o Venice Mestre is a 3-minute walk from Venezia Mestre Train Station. From there, non-stop train connections from Trenitalia take you to Venice Island. They depart every 5-minutes and stop at Santa Lucia station. This 10-minute ride costs 1.25 EUR. Buses run every 15 minutes from "Mestre Stazione" station to Venezia Tronchetto station. A simple bus ride takes 12 minutes and is also quite affordable (only 1,50 EUR). They also depart super close to our hotel. Please ask our hotel staff. Take the "People Mover" (cable car) from Tronchetto to Piazzale Roma - the trip lasts only 4 minutes but saves you some walking (currently 1.50 EUR, weekly 7am-11pm, every 7 minutes). We advise our cost-conscious guests to avoid the water taxi "Motoscafi". From Venice's old town you can buy hourly or day tickets for the water bus "Vaporetto". Also a cheap but a little less romantic alternative to the famous gondola ride. 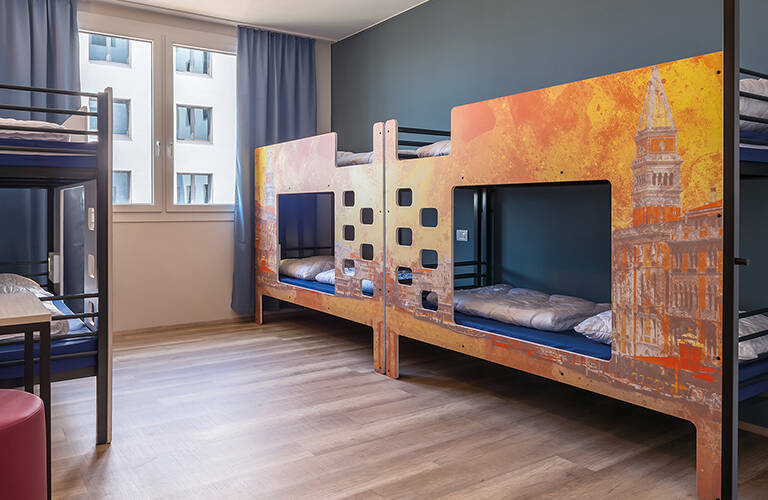 Great location, friendly staff, and safe and clean hostel!